Handmade entirely out of sterling silver, this petite ring features a tiny hand stamped oval design displaying the initial of your choice. 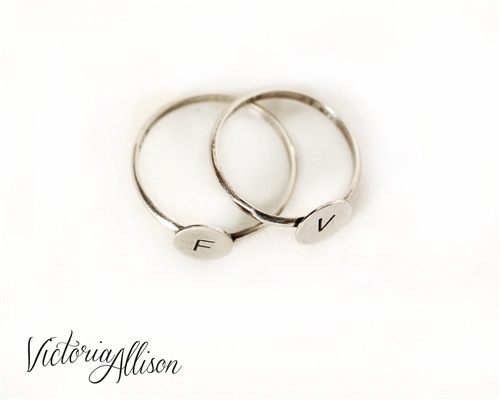 This item is custom made just for you, so please select your Initial and Ring Size (U.S. sizing) and I will make it accordingly. Each ring goes through a process of forming/shaping, soldering, stamping, oxidizing, and polishing, before it's ready to ship to you. Please be sure to order your correct ring size before ordering, as I do charge a re-sizing fee for changes made after the ring is completed. If you need a special size not listed here, please contact me first for availability. Dimensions of the tiny oval on top: Approximately 5/16" tall, and a little under 1/4" wide (0.79x0.63cm.) 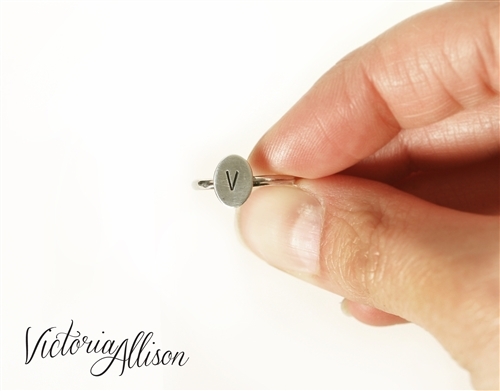 Only 1 initial can fit on this space/1 initial per ring. 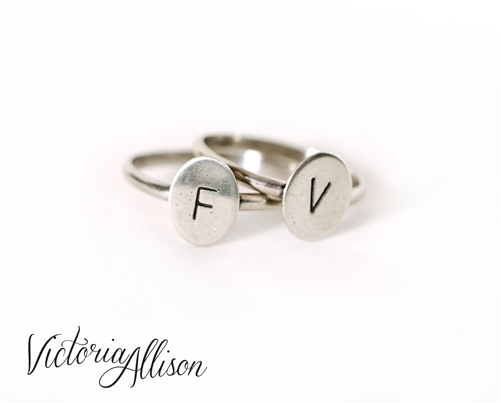 Care Instructions: The initial stamping has been oxidized (darkened/blackened) to show up better in the design. 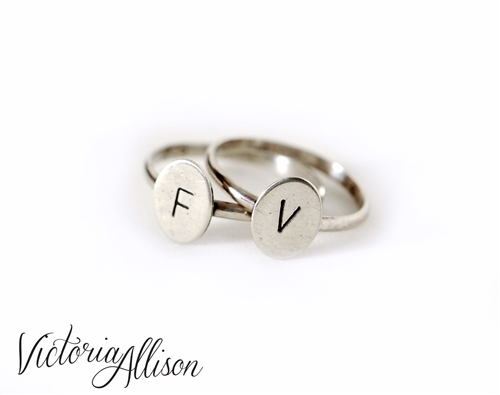 Sterling silver will naturally oxidize over time, and you can gently clean the rest of the ring - taking care around the stamping if you want it to stay darkened - with a polishing pad or cloth made for sterling silver jewelry.